The Red Light District, Amsterdam. I’m taking time out from my regular Travel Tuesday format to bring you a single photo. A single memory. I love this photo. I love this photo even though it is mostly out of focus. It captures the moment so perfectly and every time I look at it the way I feel when I’m travelling comes rushing back. Light, free, optimistic, full of possibilities. Not many photos can do that. Also, I’m wearing pleather pants. Yessss. 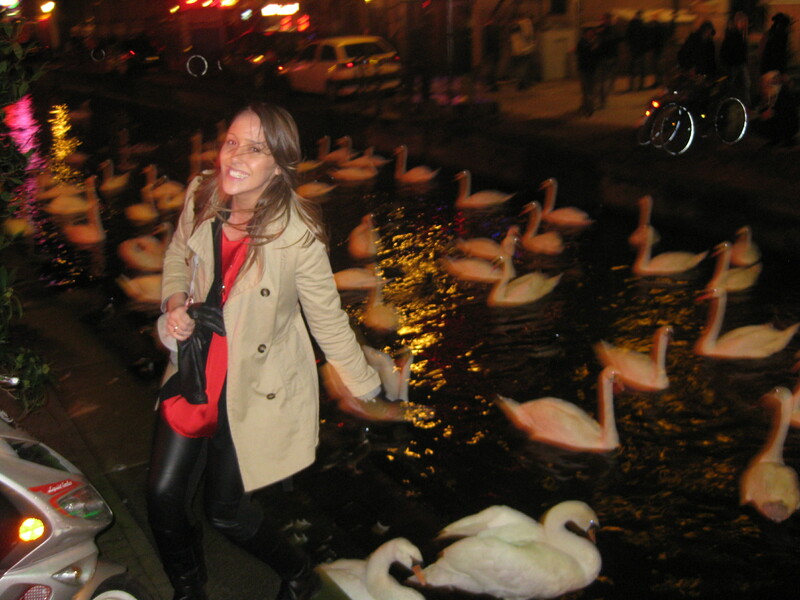 This entry was posted in Travel and tagged Amsterdam, Holland, Memory, red light district, Travel, Travel Tuesday, Travel Tuesdays. Bookmark the permalink.